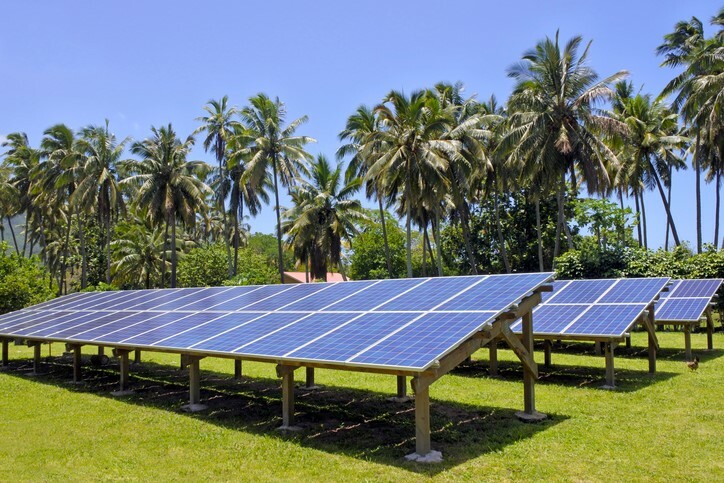 New solar plus battery projects in the Cook Islands demonstrate how off-grid regions can escape reliance on diesel generators. Six of the twelve inhabited Cook Islands are the target of hybrid renewable energy projects comprising solar and solar battery technology. The first of these, on Mitiaro Island, is now complete and should be able to supply all the power needs of the island. Three more of the smaller islands are next, followed by two bigger islands that have higher power needs. The remaining six inhabited islands already have similar developments in place. Completion of all projects is due by 2020. This means that within a couple of years the region should be fully reliant on renewables for its power needs. Energy and water consultancy company Entura has been instrumental in making this happen for the Cook Islands. The company’s managing director, Tamy Chu, said that with diesel fuel being the biggest expense to the islands for power generation, the shift to renewables “makes good economic sense” while also reducing carbon emissions. The Cook Island government’s renewable energy department director, Tangi Tereapii, also said the developments underlie the government’s commitment to sustainability, tackling climate change, preserving the environment and strengthening energy security and economic growth. It demonstrates how renewables can lead not only to lower pollution and costs, but also contribute to a region’s economy. Remote and off-grid regions have often used diesel generators to meet their energy needs. While they have provided a good solution in the past, they have several drawbacks. This includes the high cost of diesel fuel and the need to continually transport it to the region. Diesel generators can also be polluting and noisy, and not always very efficient. Hybrid renewable projects that combine solar power and battery storage are proving to be a viable alternative. Solar power reduces emissions and costs, while giant batteries, like the Tesla Powerpack in South Australia, improve energy security.